Sometimes, you just know when a game is going to be good. You can just feel it in your gut. Other times, however, a game may leave you scratching your head at first appearance, only for it to turn into something truly wonderful once you pick up the controller (or place your hands on the keyboard, as it were). As far as 2017 was concerned, there was one obvious game that took me by surprise in the best possible way. When I first heard the leaked news of a Mario and Rabbids crossover I, like many others, was dumbfounded. It just sounded so absurd it had to be some kind of joke (or worse, fanfiction!). Not only are the two franchises quite different from each other, the difference in quality has been nothing short of a night and day affair (what with Mario starring in many of history’s most beloved games, and the Rabbids…well… not so much). Who would have thought that such a bonkers crossover would not only end up to be true, but also be one of the best Mario offshoots out there? And of all genres, it’s a strategy RPG! And the characters use guns! It’s still hard to believe this is a real game. But a real game Mario + Rabbids is, and a damn good one at that. 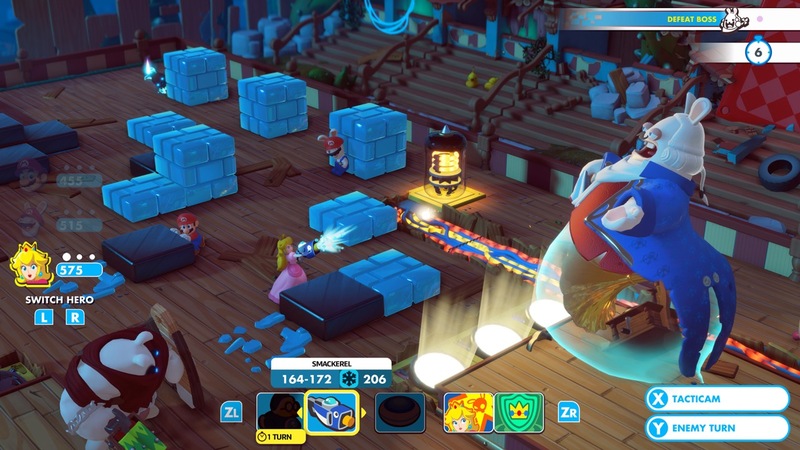 By placing the Mario characters in an unfamiliar setting (taking obvious inspiration from XCOM), crafting a surprisingly deep battle system, and finally giving the Rabbids the quality title they were so desperately in need of, and Mario + Rabbids Kingdom Battle proved to be a most pleasant surprise. Even Wizard Dojo can be wrong with first impressions from time to time. Here’s the Dojo’s award for the biggest surprise of 2017! And what a surprise it was! And to think most people were being blindly negative when information regarding the title first leaked. I hate to admit I was one of those people… Though in my defense, I was mostly bummed that it was rumored to share the “Super Mario RPG” name. As someone who’s waited 20+ years for a proper sequel to SMRPG, hearing that a potential sequel would be something that sounded entirely like it had nothing in common with the original (aside from the Mario aspect) kind of stung. Thankfully I was wrong…in more ways than one. I didn’t hear of the Super Mari RPG rumor. I can understand your frustration! Yeah, when the first leaks hit, people thought it was going to be “Super Mario RPG: Rabbids Invasion.” Or something along those lines.